Theo, a frontline healthworker with Last Mile Health in Konobo, LIberia. 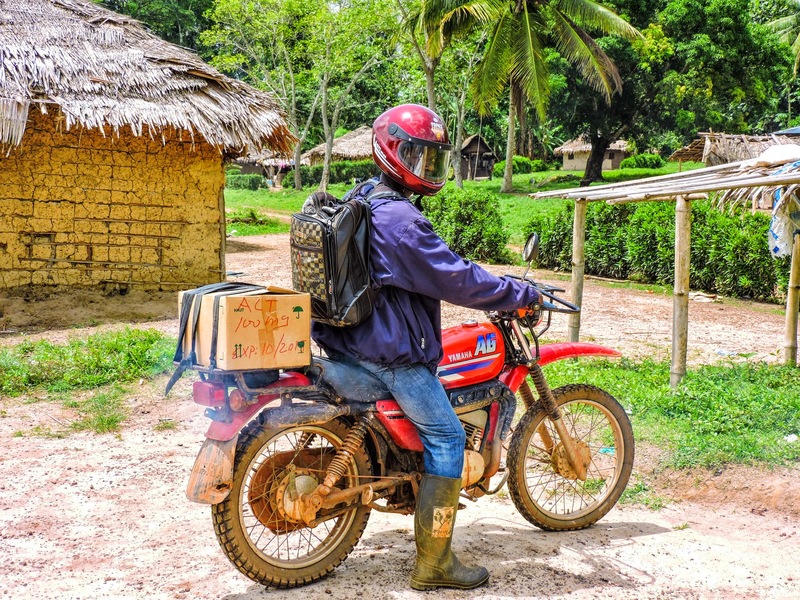 Each day Theo and his colleagues travel hours by motorbike on treacherous roads to extend health care to people in Liberia’s most difficult to reach villages. 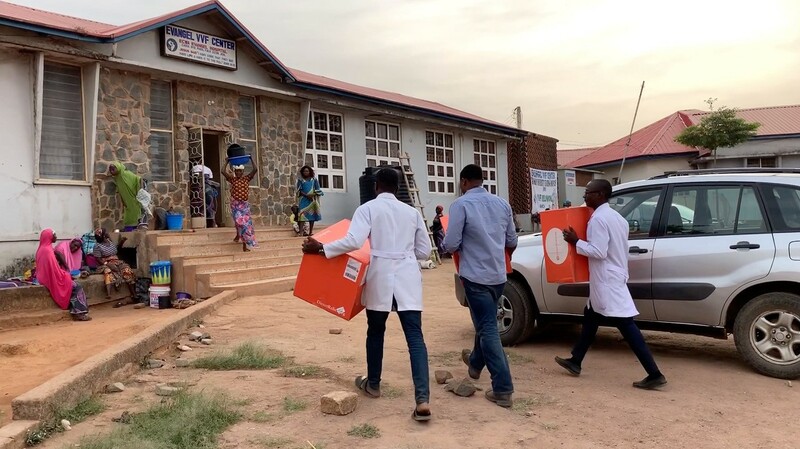 A team from Direct Relief is traveling through West Africa to better understand the needs of health care partners and formulate long-term strategies for strengthening health systems devastated by the Ebola outbreak. Our Emergency Response Manager, Jenny Hutain, shares her observations from Liberia. The drive from Last Mile Health‘s main field office in Zwedru, Liberia to their logistics base in Ziah Town (Eastern Liberia, bordering Ivory Coast) takes several hours over bumpy dirt roads. From there, it’s another hour through the forest to a small village called Piah, at which point the road stops and the last few miles to Gbarwu begins. The hour-long hike to the small village winds through brush, across narrow log bridges, and beneath a canopy of soaring trees. If you type “Piah, Konobo District, Liberia” or “Gbarwu, Konobo District, Liberia” into Google Maps, you will be asked to check your spelling because to the greater world, these places don’t exist. But Piah and Gbarwu and thousands more villages in Liberia do exist, and they are home to thousands of people who will die of very treatable conditions, such as malaria, pneumonia, and diarrhea, without basic health interventions. As the forest cleared and the village came into focus, one of its residents shouted from across the village for our group to wash our hands before walking any further. We dutifully washed our hands with the provided soap and water, surprised and delighted that the Ebola messaging had penetrated this far into the Liberian rainforest. Last Mile Health was partly to thank for this. Gbarwu’s remoteness limits the number of visitors it receives, and the team from Last Mile Health and Direct Relief received a very warm reception by its residents. The team from Direct Relief traveled to Gbarwu, a town of just 170 people, to learn about the work of Last Mile Health and their frontline health worker (FHW) program. Moses, a frontline health worker with Last Mile Health, is responsible for health education, health monitoring, population tracking, primary medicine disbursement, and referrals for the 170 people who live in Gbarwu. Last Mile employs, trains, and supports residents of these small villages and towns to become Frontline Health Workers, empowering them to support their community with very basic health interventions, health education, population monitoring, and referrals to health facilities. Gbarwu’s FHW is Moses, a quiet man who takes great pride in caring for the men, women, and children in his community. Part of the FHW model that Last Mile uses are FHW supervisors, who daily travel long distances by Land Cruiser, motorbike, or foot to the remote villages to monitor, educate, re-supply, and generally support the FHWs. Moses’ supervisor, Markson, traveled with us that day. Taking careful notes first on paper, then on a mobile app (a project Last Mile is piloting to digitize and simplify data collection), Markson asked Moses to tell him what had taken place since he last visited: any births? 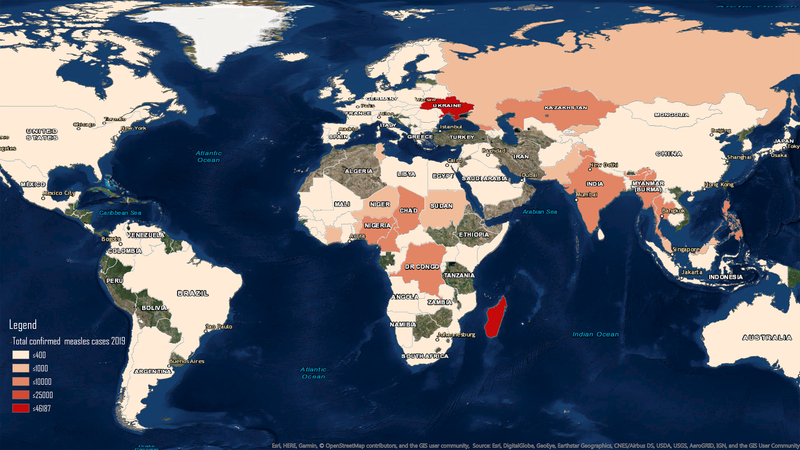 deaths? people coming or going? did he treat any one for pneumonia? malaria? how many referrals had he made and to what health facilities? Markson took stock of the town’s supply of basic medicine–a locked box Moses kept in his home–and made sure that Moses knew how to properly measure and administer the liquid amoxicillin (different than the capsules he received before). Markson observed as Moses interviewed a local women with squirmy young boy on her lap. Sitting the required 3 feet away (to minimize potential disease transmission), Moses asked the woman if she had heard about Ebola, if she knew what it was, how to identify symptoms, and what to do if she observed them in the community. The woman had heard of it; she knew that it was real, it was deadly, that she should not touch dead bodies, and that she should not eat bush meat. To end the supervision visit, Markson provided feedback to Moses, praising his work but warning that before interviewing patients about anything else, he should screen each person for contact with sick people and symptoms of Ebola. More than 500 health care workers have died of Ebola in West Africa, so Last Mile Health takes the safety of Moses and the other FHWs very seriously. Moses asked Markson when he would be able to get the next training module; he was eager to be able to provide more services. We spent a couple hours in Gbarwu, alongside Moses and Markson as they worked. As we ate the lunch of flavorfully spiced rice and goat soup, we asked the village leaders what they needed most. A road, they replied unanimously. While the walk between Gbarwu and Piah is stunning, it’s a serious obstacle to business, education, and health. 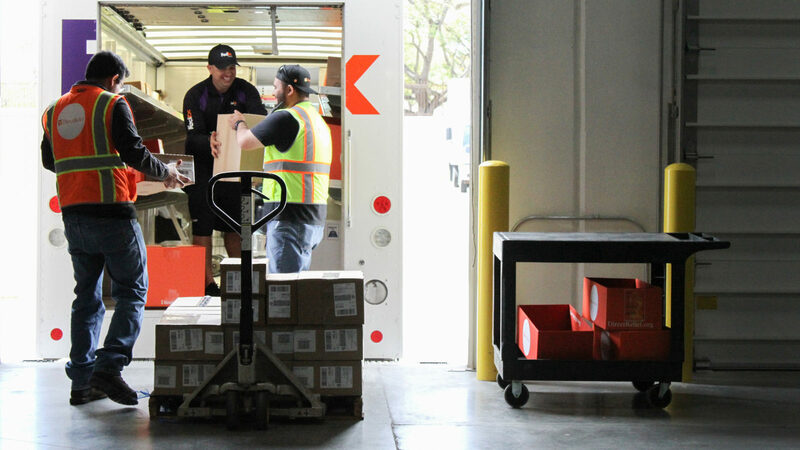 In order to extend their FHW program as far as they do, Last Mile Health focus intently on logistics and operations. The red clay roads are narrow and perpetually wet under the lush green cover, even in the dry season. The bridges are flimsy, rotted wood boards, some of which lie alongside rusted vehicles that got stuck and abandoned. Each day, the operations team in Ziah assesses what’s passable by car, by motorbike, by foot, or not at all, as is often the case in rainy season. The FHW supervisors are trained, then trained again, on riding a motorbike over the terrain, a necessary danger. In their off time, the Last Mile team trades stories about wading through chest-deep water, and getting stuck in the mud. Last Mile Health is working with the Ministry of Health and other partners to extend the success of the FHW program throughout the entire country. Direct Relief has been privileged to support Last Mile Health since 2012, and will continue to do so as their life-saving work expands to every last mile of Liberia.